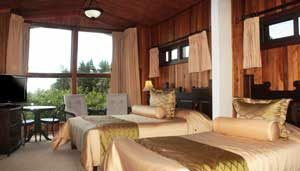 An owner-run hotel surrounded by gardens full of orchids and birds, ideally placed for exploring Monterverde Cloudforest. In Monteverde Cloudforest close to Monteverde Reserve. Fonda Vela is open year round. Fonda Vela is a former farm adjoining Monteverde Cloudforest, whose owners now welcome guests to share their home and their love of the environment. You are encouraged to explore the expansive grounds, following walking trails as you listen to birdsong and maybe catch a glimpse of the resplendent quetzal, among others. During your stay you can visit a local coffee plantation, spend time in a butterfly garden, watch frogs at the pond and join a guide for a tour of Monteverde Cloudforest. 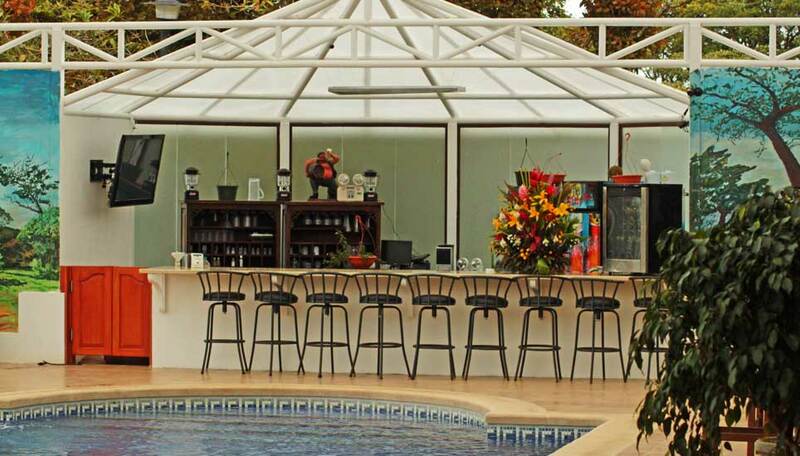 Back at the hotel relax by the pool, enjoy a drink in the bar as you chat to other guests, admire the original paintings by the father of the current owners, and watch beautiful sunsets. 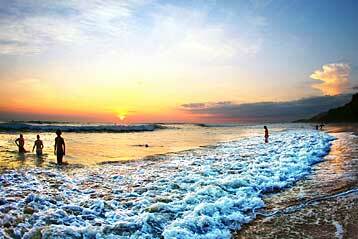 Why go to Fonda Vela? 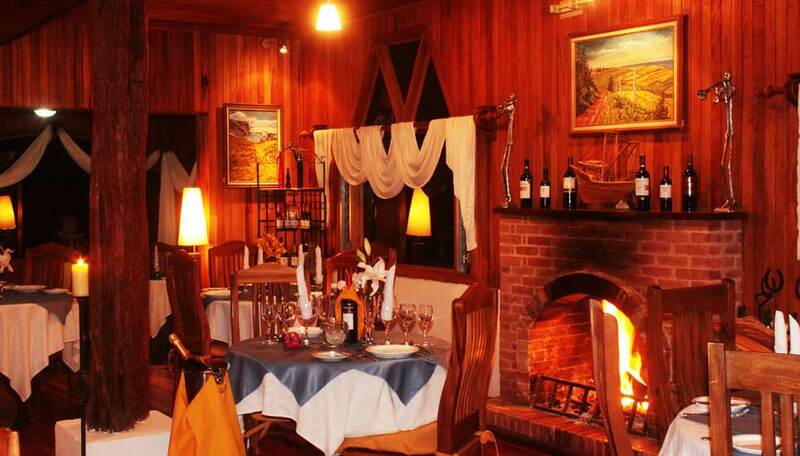 Fonda Vela is a family owned and run hotel with a homely feel and makes a comfortable base from which to explore Monteverde Couldforest and the surrounding areas. The emphasis here is on the natural environment, rooms have large windows and public areas have great views of the lush gardens, so even when indoors you can enjoy the natural beauty of the area. Strolling through the gardens you are immersed in nature, among trees, flowers and birds, and further afield you can explore Monterverde and Santa Elena cloudforests with experienced guides. 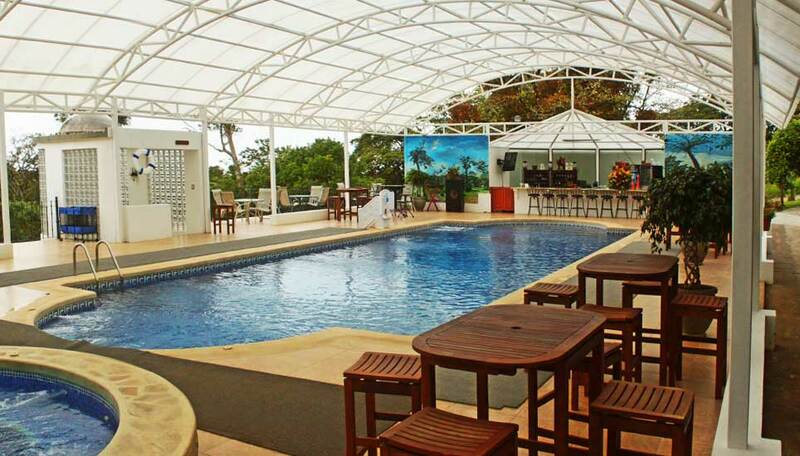 The hotel was once a farm and from here you can experience the region’s produce touring coffee and sugar cane plantations and witness cheesemaking. The hotel is surrounded by 14 hectares of tropical gardens with over 200 species of resident bird species and around 60 migratory species. You may spot the well-named resplendent quetzal, parrots and toucans, and are sure to see hummingbirds. There are also small mammals, reptiles and amphibians. Among the plants you can see some beautiful orchids. You can explore the grounds as you follow the 1.5kms of walking trails. 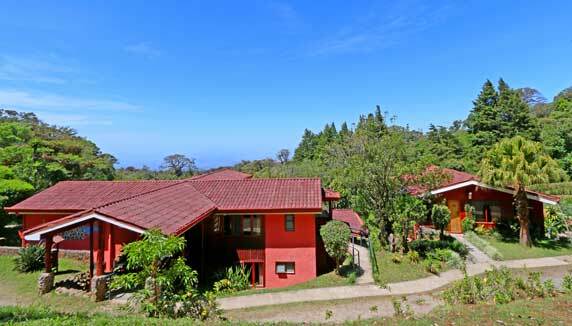 Daily breakfast, in-room coffee, access to the hotel’s walking trails, Wi-Fi internet access in public areas, parking.. There are standard rooms and junior suites. Standard rooms have cable TV, phone, coffee maker, minibar, large windows and en-suite bathroom with toiletries provided. Suites have the same amenities and provide extra indoor space and some have balconies. 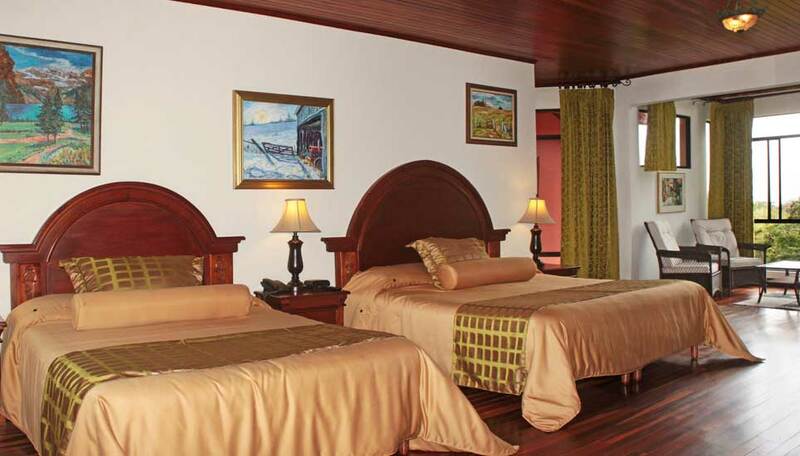 Each standard room has either 2 queen size beds or 1 king size bed, and suites have 1 king size and 1 queen size bed. Free Wi-Fi in social areas of the hotel.